Whether you’re a large company, such as Tesco or Morrisons, or you’re a smaller business offering access solutions, the chances are that you will need an access platform in order to perform key jobs. Whether you need the platform to reach tall spaces in warehouses or for window cleaning, lamppost repairs and architecture work, an access platform allows you to access spaces with ease. Access Platforms are used to perform work on the side of buildings, to reach tall spaces, or to perform key repairs on construction items. Easily transported and accessible, many platforms are used by the emergency services, and can be both set up and operated by a single person. Unlike cranes, Access Platforms are used to ensure maximum mobility, meaning that they can be transported up and down the country when they are needed. For those with the need for unpowered access platforms, those priced at the lower end of the spectrum are perfect, especially for smaller businesses. Easily assembled and used for when you need to reach aerial spaces, these platforms can be found in business around the UK – and are the most common. 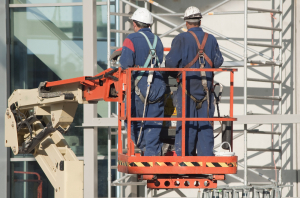 Usually small, you can still buy unpowered access platforms that can be used as scaffolding, to assemble against buildings, and platforms that can be used for professional services. These access platforms come with wheels and can be driven into position when needed. Some of these platforms can also move when in operation, which is great for those operating on the move, such as window cleaners and billboard workers. When using these platforms, you will need to be IPAF Trained. Some platforms can be found mounted on the back of trucks, lorries and other large vehicles. 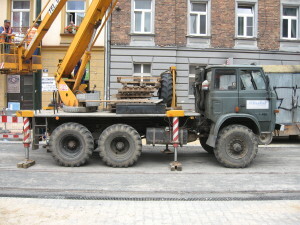 These are usually the platforms most likened to cranes, and the vehicle aims to support the platform when it is in use. These types of access platforms are mostly used by those in the repair industry, such as road maintenance teams. This entry was posted in Blog and tagged Access Platforms, Maintenance, platforms. Over 70% of workplace accidents are the result of working at height, so it is extremely important when working at height that proper health and safety procedures are observed. 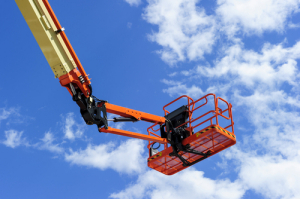 To help make sure more people go to work armed with the right training and qualifications, the International Powered Access Federation (IPAF) provide a wide variety of courses to promote the use of powered access machinery across the world. These courses usually mix theory and practical skill training to provide industry best practice. They specialise in training operators in the specifics of the Health and Safety at Work Act of 1974, how to avoid accidents, and use the machinery in an emergency. They offer this training to both employers and employees. We’ve made a list of the most popular IPAF courses, what they involve, and what you can expect to take away from them. 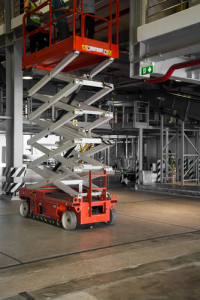 This course is designed to cover the operators of scissor lifts and cherry pickers, and is therefore one of the most popular courses – these are the most commonly used powered access machines in the public sphere. 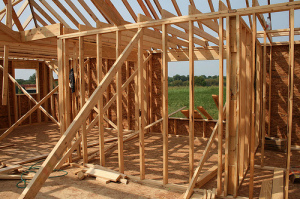 The course instructs operators in how to use machine categories 3a, 1b and 3b properly and safely, and those taking the course can choose to learn how to operate any combination of these machine types – or all of them in one sitting. The course ends with a practical exam, and successful candidates will be awarded the IPAF PAL Card and certificate. This is an internationally recognised qualification and will be valid for the next five years. This course takes only one day, and is specifically aimed at those who can already operate machinery under standard conditions, and want to learn how to work in challenging environments such as enclosed spaces, on rough terrain or in industrial areas. A PAL Card is required to apply, as this course focuses less on basic skills and far more on complex practical training. Completing this course will allow you to safely operate Static Boom (1b+), Mobile Boom (3b+) and Mobile Vertical (3a+), and your PAL card will be upgraded to reflect this. This is a very popular course for those who operate MEWPs (Mobile Elevated Work Platforms) like Cherry Pickers and Scissor Lifts , and can be taught as a two-machine course or a more expensive 3-machine course, with the option of counting towards a Driver CPC as well. The course aims to familiarise students with the operational procedures and quirks of each type of MEWP. IPAF Training Courses are also available for managers – in particular, this one-day course that instructs site managers how to properly deal with employees using MEWPs. Since it is aimed at management, it doesn’t focus on how to operate the machinery, and instead covers planning and overseeing sites in which MEWPs are in use. You will see in the image on the right, is a scissor lift assisting with a butterfly valve installation. 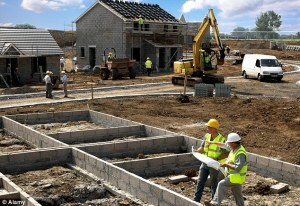 It is also possible to take courses with IPAF that cover things like inspection and use of harnesses and safety gear, loading and unloading machinery to transport it safely, and a course concerning “Push Around” vehicles (non-self-propelled machines, previously categorised as Machine Category 1a vehicles).